In addition to a total lack of funds needed to carry out any type of study/research, and after unsuccessfully attempting to get scientists interested in researching causes and treatment of the various body odor conditions, we at MEBO Research took the initiative to take matters into our own hands. 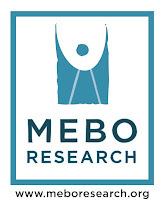 In the same spirit initiated by Arun Nagrath in his Survey in 2008 in which he attempts to gather as much data as possible regarding our condition to potentially be used by scientists in future research, MeBO decided to begin a community self-study initiative. In the initial phase, this effort began with setting up a small study through Biolab Medical Unit (UK) to test of a few biomarkers of various types of gut dysbiosis. For almost a year prior to this study, MeBO approached various scientists who wanted to help with research if we could only provide funding. One of the doctors was initially willing to write a grant proposal for us, but as we explored research options, it was determined that aside from TMAU, it became evident that basic data categorization of specific volatile odorous compounds have for specific body odor types has never been compiled in a scientific manner, and that categorization of the various body odor types is also nonexistent. In the absence of this data, there is no clear starting point or hypothesis with which to begin serious research. This very valid reality was a clear indication that research would never take place and thus, we would never get answers to the causes of body odor conditions not only in non-TMAU sufferers, but also conditions TMAU sufferers may have in addition to their genetic disorder. Consequently, it became very evident to the MeBO staff that we would need to initiate sufferer-driven and sufferer-funded studies to look for patterns so as to begin to gather, compile, and classify data with which we can then use to pursue grants to fund large scale research projects. Thus came the birth of our MeBO-Biolab Gut Dysbiosis Study in mid August 2009. This exploratory study to evaluate potential screening tools for yet uncharacterized digestive and metabolic disorders responsible for body odor or halitosis is currently recruiting participants. Thanks to the invaluable guidance of the expert overseeing this project,Dr. Irene Gabashvili, and thanks our international test subjects, 11 subjects who have already submitted their samples and 4 additional subjects that are initiating this testing process, all of whom have paid for their own tests, and thanks to the special rates provided by Biolab, we are beginning to gather data of tests results performed by reputable labs in London. As the results continue coming in, Irene is writing a hypothesis for publishing. We are fully aware of the limitations of this study, such as not having a control group to compare results with due to lack of funds, and as we go along and begin to see patterns in the test results, the initial test profile will be modified by possibly removing some tests from the list and adding more on-target ones. The survey questions for the study may also be modified for better control and interpretation of test results. Where is this movement heading? This exploratory study to evaluate potential screening tools for yet uncharacterized digestive and metabolic disorders responsible for body odor or halitosis is currently recruiting participants. With the consequent hypothesis proposed by Dr. Gabashvili and the data used to support it, we hope to be in a better position to obtain a grant from private foundations and government agencies to further expand this study to a larger scale research project with a control group. With this and similar kind of data compilation, with MEBO Research being registered as an international non-profit organization in the US and UK, we stand as an international united community of sufferers and experts, and we face a much better chance of obtaining research grants than if we had not united and had taken no action at all.